Definitely a PP. Those EYELASHES THOUGH!!!! I know! They are so perfect! He's sure is a sweet little guy too! 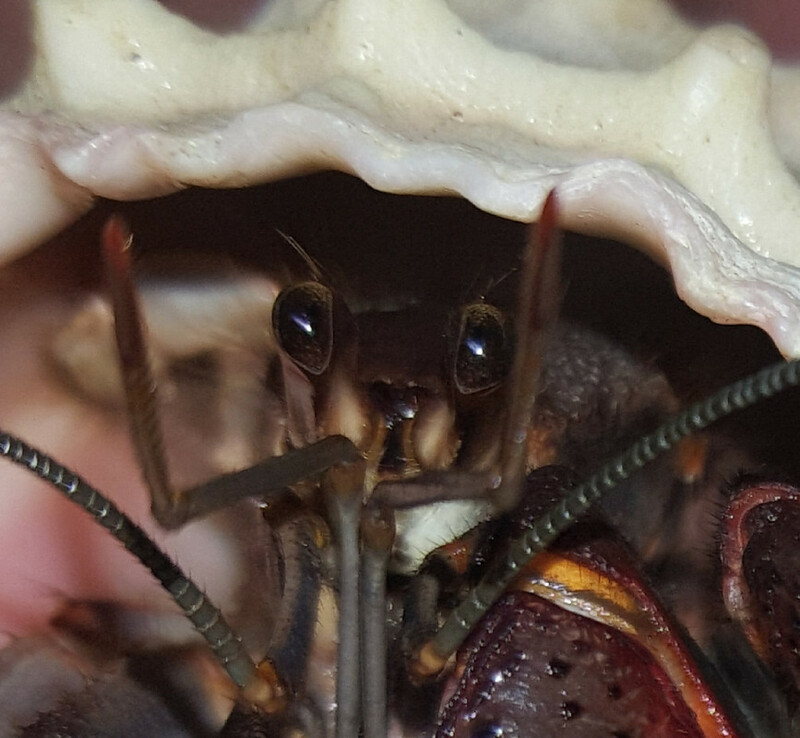 Topic: Hermit crab sitting in same position for days?? Jamison wrote: My two small purple pinchers are down molting! I hate the wait, but it is so worth it when they come up and are bigger and darker! 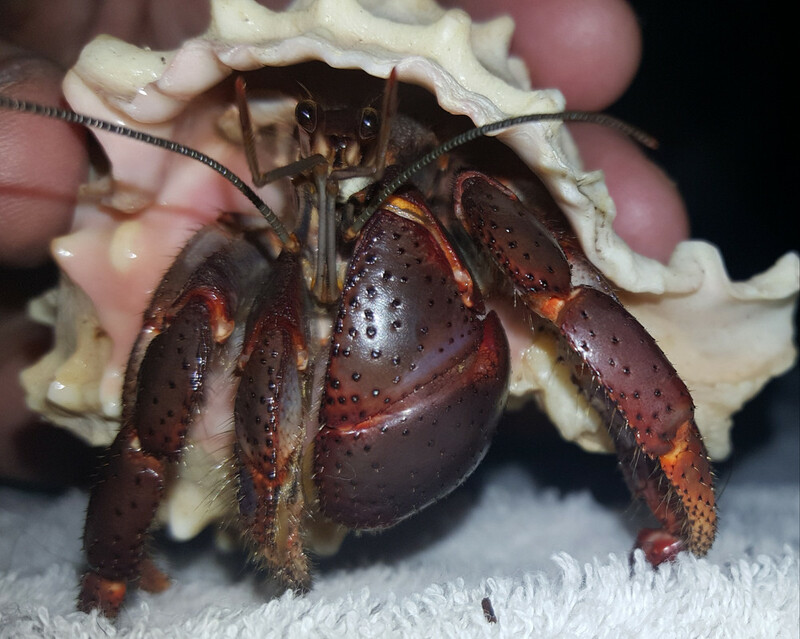 Yeah I get excited when he goes down to molt too but I miss him so much because it takes him forever to molt. He comes up so much bigger, darker and beautiful though. AwesomeHermit wrote: That’s a PP. Beautiful though! Ok, I wasn't certain if he was or not because he doesn't have a distinct purple purple pincher. Thank you, now I know I did look up ruggies and I don't see any photos of them being this dark and the antennae are dark as well. Thank you! I call him "Tiny"